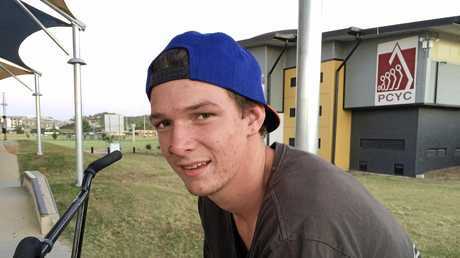 JAM FOR JARED: Gladstone man JD Lewis has organised a memorial service at the Gladstone PCYC Skate Park to send off his good mate Jared Hayne who was tragically killed in a car crash on December 29. The pair are pictured here together as Mr Lewis makes a jump over Jared. TO HONOUR his best mate, a Gladstone man has organised a slightly different kind of memorial service set to draw crowds to the Gladstone Skate Park at the weekend. The community was left reeling by the death of well-known former Gladstone man Jared Hayne in a car crash on the Bruce Highway at Miriam Vale on December 29. Mr Hayne grew up in Gladstone. He played with the Gladstone Mudcrabs (since renamed the Suns) and was a well-respected member of the football community. 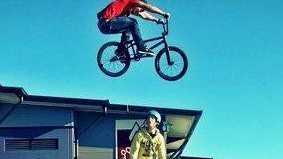 Mr Hayne was also a keen BMX rider and spent most of his spare time at the PCYC skate park with his close friend JD Lewis. Mr Lewis described Mr Hayne as his brother and a "fully send it kid". "My brother and I went to the funeral and we thought because the PCYC doesn't run as many events at the skate park as it used to, we could organise a memorial event for him," Mr Lewis said. JAM FOR JARED: Gladstone man JD Lewis (pictured) is organising a memorial service to send off his good mate Jared Hayne who was tragically killed in a car crash on December 29. "I used to do a lot of events, competitions and jams back in the day but now there is nothing for the skate park kids to look forward to. "(Jared) was one of a kind and it will be good to give him a skate park send-off." Mr Lewis said working with his brother Eythan and Mr Hayne's parents, Leanne and Phil, the event started to come together. "Phil works at NRG, has done for many years, and he asked the NRG social club to organise music, barbecues and gazebos," Mr Lewis said. "Also Katherine Kuppen has basically organised everything with the NRG's social club and we have been very thankful to have her help. 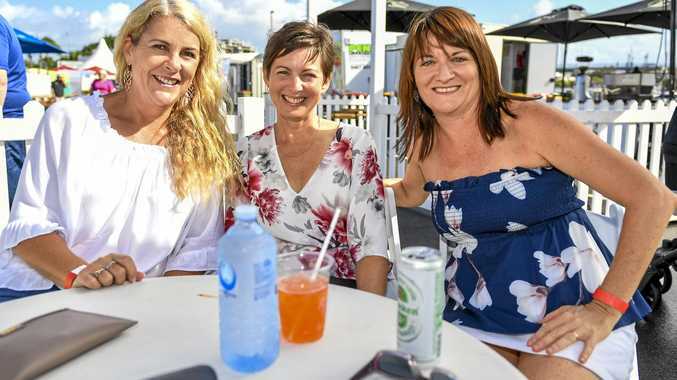 "She also organised the alcohol permit with the council so for 18-year-old's it's a BYO event. "I reached out to Australia's biggest BMX brand Colony and the owner Clint Miller did all the flyers for the event and graphic design for free of charge. Which was cool." Mr Lewis said Gladstone Regional Council Mayor Matt Burnett was also a huge help promoting the event. The jam will be open to all skate park enthusiasts with a 'Send it for Jared' trick segment. Mr Lewis said the profits would go to Mr Hayne's family to help them cope during the difficult time. "It is a memorial event so we ask people to respect that," Mr Lewis said. The event kicks-off at 9am on Saturday with an afterparty organised for Mr Hayne's closer mates.